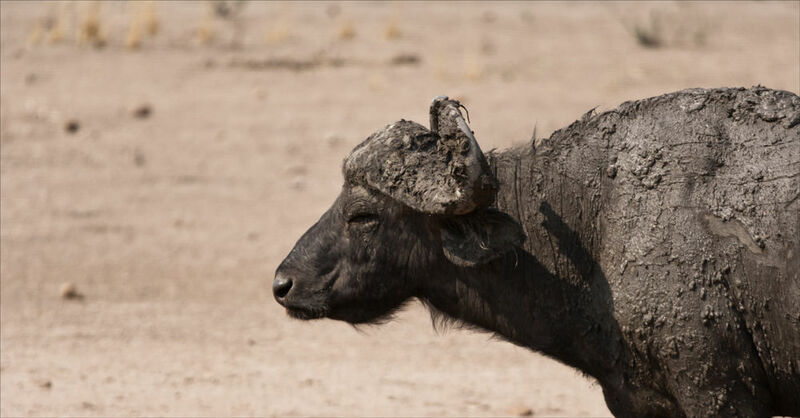 Cape Buffalo and Elephants love a mud bath. It rids them of parasites that attach themselves to their hides. This individual was leaving when we arrived !